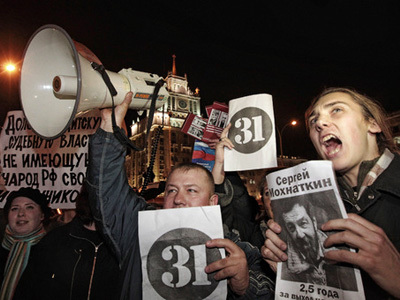 Organizers of the opposition rally called “The Day of Rage”, which has been sanctioned by the authorities for the first time, have invited former Moscow Mayor Yury Luzhkov to take part in it. ­When in office, he repeatedly refused permission for such gatherings. The organizers note that recently there have been many claims about breaches of law in the Moscow government under Yury Luzhkov, which the former mayor denies. “We invite Yury Luzhkov to join the Day of Rage on February 12 and present evidence of his innocence, as well as tell about law breaches by the federal government he is informed of. If he does not have such evidence we suggest that he publicly admit his guilt,” said one of the organizers, leader of the Left Front movement Sergey Udaltsov. The rally will take place on Moscow’s central Theater Square, where up to 500 people are expected to arrive. It is being organized by several opposition groups, as well as environmental and human rights movements who want to express their distrust of the government and their policies. Among the protestors’ demands are the curbing of inflation, changing of the electoral system and an increase in responsibility for illegal use of migrant workforces. The Day of Rage rallies are now expected to be held every three months. 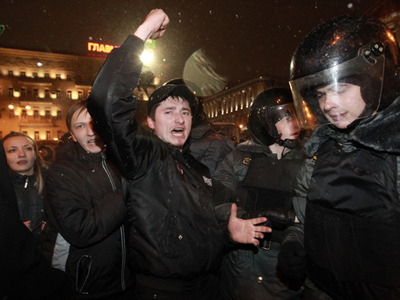 Under Yury Luzhkov, the rallies, though unsanctioned and each time suppressed by the authorities, used to take place monthly. The organizers say they plan to change the schedule to be better able to prepare them. Yury Luzhkov was dismissed from his post ahead of term on September 28, 2010 due to a loss of trust from the president. New Mayor Sergey Sobyanin took over him in November and immediately announced his plans for reforms and investigation into alleged offenses, mostly linked to corruption, by the previous government. The former mayor has called accusations against him and his officials politically-motivated. In January he asked for Latvian residency but was refused. It was rumored he wanted to leave Russia fearing political prosecution. He has denied this, saying he needed European residency for business, but has no intention of moving abroad. 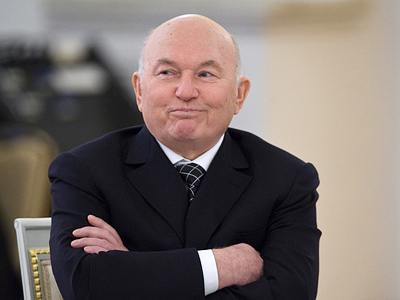 On Tuesday Interfax reported Luzhkov has requested a UK visa. “On February 7, Yury Luzhkov applied to the British embassy in Russia for a visa that he needs to visit his daughters, who are studying n the UK,” the agency’s unnamed source said.